CUT 70!! 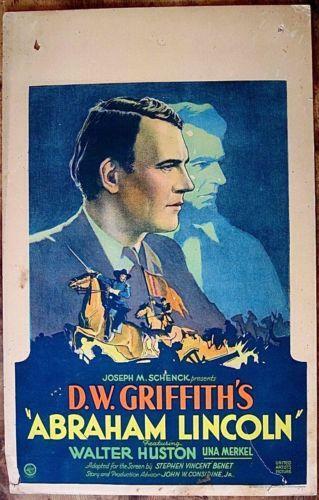 THE DOVE 1927 1/2 SH NORMA TALMADGE & OLAND SILENT! ART DECO DESIGN! 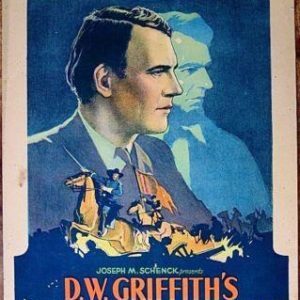 THE DOVE (United Artists, 1927)Size: Original U.S. Half-Sheet (22″ x 28″).Condition: Overall displays in Very Good to Fine Condition! 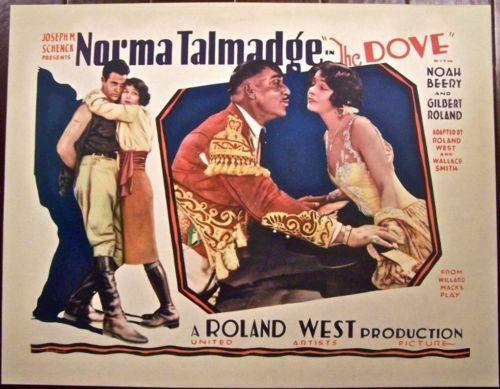 Original paper-backed Half-Sheet for the 1927 Silent romantic drama, THE DOVE, starring the legendary Norma Talmadge with Gilbert Roland & Noah Beery, displays touch-ups to edgewear and to a 2″ are of lower right blank border paper-loss, otherwise due to highly professional paper-backing, this original and striking Art Deco 1927 Half Sheet displays beautifully! 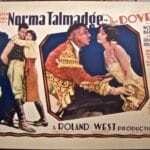 Please refer to the attached image and enlarge for a detailed view of this unique and original 1927 paper-backed Half Sheet for the Norma Talmadge silent south-of-the-border romantic drama, THE DOVE.